Free download link at the end of this post ! 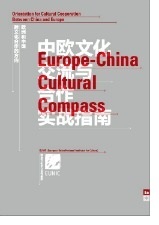 As a result of the project EUROPE-CHINA CULTURAL COMPASS, a publication is now available, addressing the question of intercultural communication and cooperation. In the framework of an ongoing dialogue between China and Europe, the project was generated from an initiative by partners of EUNIC (European Union National Institutes for Culture) in China, the Goethe-Institut, the British Council, and The Danish Cultural Institute. Alongside with a glossary with selected intercultural key-vocabulary, the Compass includes knowledge about the way of working and the cultural background of both countries. It is intended to make a contribution to the understanding of cultural differences in order to facilitate and improve the cultural cooperation and is targeted both at European and Chinese readers. Exchanges and co-productions between European and Chinese practitioners in all fields of creative culture are supposed to be fostered. The publication EUROPE-CHINA CULTURAL COMPASS can be seen as an essential tool for further collaboration and as a prelude to the coming Sino-European Year of Intercultural Dialogue. It makes relevant perspectives for cultural cooperation available for European and Chinese stakeholders serves as a knowledge base for cultural managers and players. Instead of intending to be a ready-made toolkit, it is rather aimed to give an impulse for further exchanges of experience.